Join in this Wednesday 24 April 2019 live from 2000 - 2300pmCET for Eurovision Radio International this week. 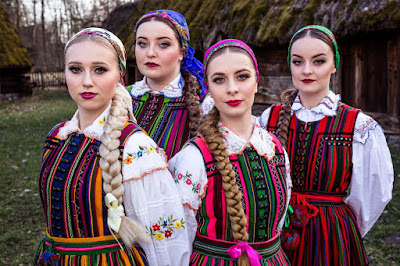 COUNTDOWN TO EUROVISION 2019 - Dare to Dream: Now not long to go for the 64th Eurovision Song Contest which will be staged May 14, 16 and 18 with 41 countries competing for the trophy and the right to host Eurovision 2020. Radio International is gearing up for the biggest music event of the year and will broadcast interviews with artists and lots of music from this year's contest. In the current series of the Eurovision Spotlight the Radio International Eurovision Experts are dividing Europe and Australia in regions and will be playing the songs of this year's Eurovision Song Contest in full and in a particular ranking and giving their opinion about the songs and their chances to victory. Now that all 41 songs have been selected the annual pre-parties and pre-view events such as London, Riga, Madrid, Moscow are taking place. Amsterdam Calling was on Friday 05 April 2019 as the pre-party to the biggest events of all EUROVISION IN CONCERT which is took place in Amsterdam's AFAS on Saturday, 06 April 2019. Hear some of the interviews Radio International did with the Eurovision Stars that performed at these events. Also a special thanks go to the colleagues of ONE Radio and TV from Malta for the great collaboration. 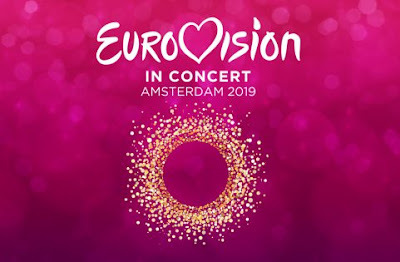 Photos and Videos of Eurovision In Concert and Amsterdam Calling 2019 can be viewed at this link. The Eurovision PreParty 2019: Also taking place was The Eurovision PreParty in Madrid, Spain on 19 and 20 April 2019 with the participation of artists from this year's Eurovision Song Contest but also former Eurovision performers national and international who performed at the PreParty to the PreParty :). Photos and Videos of The Eurovision PreParty 2019 can be viewed at this link. 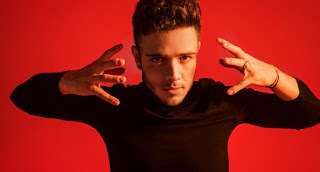 Interview with Luca Hänni (Switzerland 2019): At the recent edition of Eurovision in Concert 2019 Radio International had the pleasure to briefly chat to Luca Hänni who will be representing Switzerland at the Eurovision Song Contest 2019 in Semi Final 2 at Song 4 with the song "She got me". A special thanks to Edward Montebello from Malta's ONE TV for making this interview available which you can hear on this week's edition of the show. 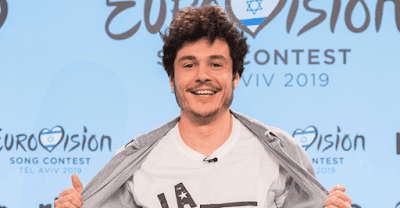 Interview with Kobi Marimi (Israel 2019): The Eurovision 2019 Host National Israel is represented at the contest with Kobi Marimi who follows in the footsteps of Netta as Israel's entry to the Eurovision Song Contest with the song "Home". Since Israel is the host country and is with this automatically qualified for the Grand Final of the Eurovision Song Contest and will be at starting position Number 14. 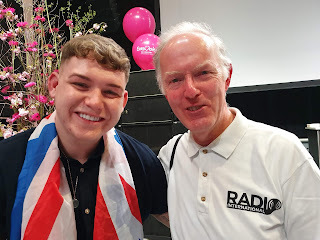 Radio International met the Eurovision enthusiastic but also emotional singer at the Eurovision PreParty 2019 in Madrid last weekend and had the pleasure of an interview during a media meetings. Interview with Lake Malawi (Czech Republic 2019): After the huge success of the Czech Republic at the Eurovision Song Contest 2018 with Mikolas Josef reaching the best ever result for the Czech Republic with the song "Lie to me" the boy group Lake Malawi follows in the footsteps of Mikolas to represent the Czech Republic at the Eurovision Song Contest 2019 with the very radio-friendly song entitled "Friend of a Friend" in Semi Final 1 at Song 6. Radio International met the young singers at the recent edition of the London Eurovision Preview Event 2019 for an interview which you can hear on this week's edition of the show. Interview with Michael Rice (United Kingdom 2019): Like Israel, the United Kingdom is also directly qualified to compete in the Grand Final of the Eurovision Song Contest being part of the Big 5. Michael Rice will be waving the Union Jack as the UK's representative at the Eurovision Song Contest 2019 with the song "Bigger than us" written by Sweden's entrant John Lundvig. At the recent edition of Eurovision in Concert in Amsterdam Radio International had the pleasure to chat with Michael. Plus there will be Eurovision News, Birthday File, Cover Spot, Calendar and new releases by Eurovision artists. Join in this Wednesday 17 April 2019 live from 2000 - 2300pmCET for Eurovision Radio International this week. COUNTDOWN TO EUROVISION 2019 - Dare to Dream: Now not long to go for the 64th Eurovision Song Contest which will be staged May 14, 16 and 18 with 41 countries competing for the trophy and the right to host Eurovision 2020. Radio International is gearing up for the biggest music event of the year and will broadcast interviews with artists and lots of music from this year's contest. The new series of the Eurovision Spotlight starts next week when the Radio International Eurovision Experts will be dividing Europe and Australia in regions and will be playing the songs of this year's Eurovision Song Contest in full and giving their opinion about the songs and their chances to victory. 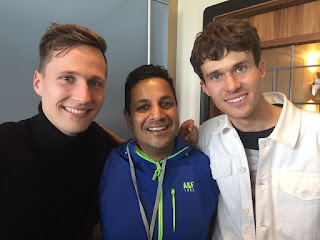 Interview with KEiiNO (Norway 2019): Last weekend saw the 2019 edition of the Eurovision PreParty in Riga, Latvia with the participation of Carousel (Latvia 2019), Edgars Krailis (National Final in Latvia 2019), Monica Marija (National Final in Lithuania 2019) and KEiiNO who are representing Norway at the Eurovision Song Contest 2019 with "Spirit in the Sky" in Semi Final 2 Song Number 15. David and JP of Radio International were on location attending the event and interviewed the artists. This week listen to the interview with Norway's hopefuls following in the footstep of Alexander Rybak from 2018 is KEiiNO, a three piece band concisting of Tom Hugo, Alexsandra and the Joiker Fred. Interview with Miki (Spain 2019): The London Preview Event 2019 took place last weekend with many of the countries' representatives from the Eurovision Song Contest 2019. Radio International's David Mann in collaboration with Salman from Germany interviewed many of the artists. This Radio International air an interview with Miki who represents Spain at the Eurovision Song Contest 2019 directly in the Grand Final with the song "La Venda". Interview with Tulia (Poland 2019): Poland is represented by the group Tulia in the Eurovision Song Contest 2019 in Tel Aviv with the song "Fire of Love"which will perform in Semi Final 1 at Song Number 4. This interview is courtesy of our collegues of One TV and Radio who chatted with the ladies during the recent edition of Eurovision in Concert 2019. 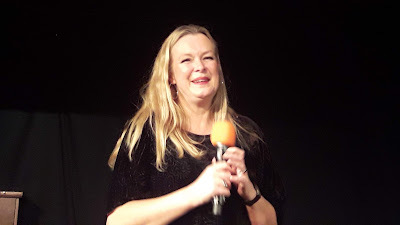 Interview with Esther Hart (Netherlands 2003): At the 2019 edition of the OGAE Germany Convention Ryan was one of the star guests invited to perform a little concert to the many fans that had arrived from various countries to Munich last January. Ryan represented Ireland at the Eurovision Song Contest 2018 in Lisbon with the song "Together" reaching Number 16 in the Grand Final. JP of Radio International chatted with the singer after his sound check about his career and the Eurovision Song Contest. Ryan was also part of Amsterdam Calling 2019 - the Pre-Party to Eurovision Concert 2019 in Amsterdam, The Netherlands. The airing of this interview is postponed to a later show. 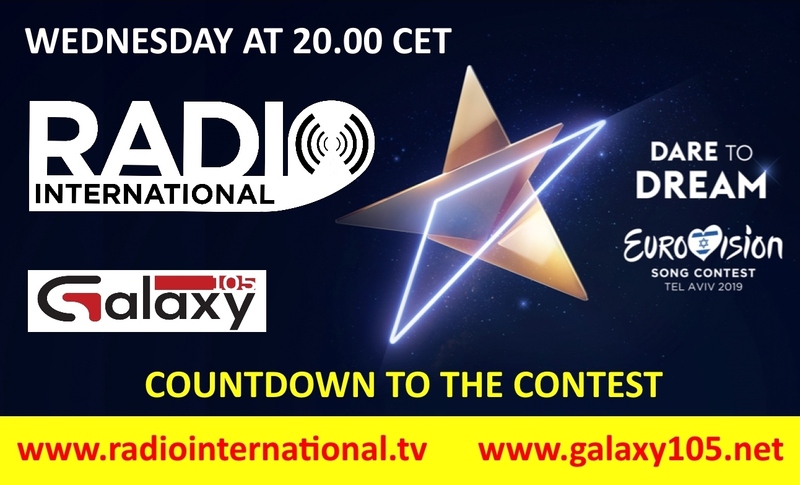 Join in this Wednesday 10 April 2019 live from 2000 - 2300pmCET for Eurovision Radio International this week. Interview with Getty Caspers: Book Presentation: "Een Leven Lang Geleden" is the autobiography of the lead singer of Teach - In, Getty Caspers who with the group won the Eurovision Song Contest 1975 for the Netherlands with the song "Ding-a-Dong". 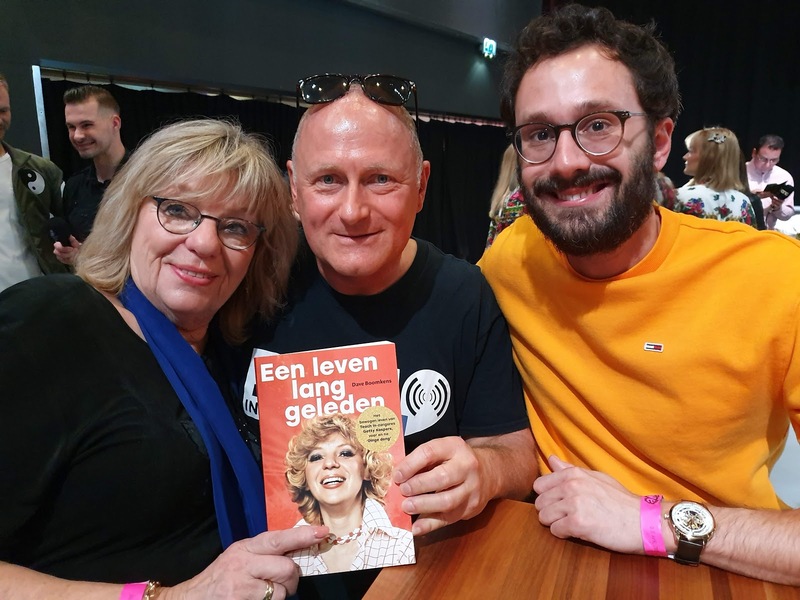 The book is written by Dave Boomkens and was launched at the recent edition of Eurovision in Concert 2019 when the book was introduced to the international media. Getty and David chatted with JP of Radio International about this book and it is available at this link amongst other websites. Listen to the interview on the show this week. 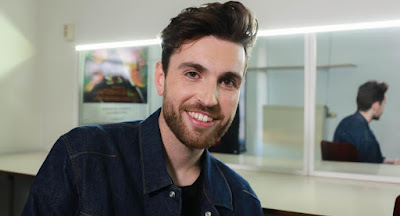 Interview with Duncan Laurence (Netherlands 2019): The Betting Odds saying that the Netherlands have a big chance of winning the Eurovision Song Contest 2019 with the young singer Duncan Laurence who will perform the song "Arcade" in Semi Final 2 as Song 16 in the Eurovision Song Contest 2019 in Tel Aviv. This interview is courtesy of our collegues of One TV and Radio chatted with the singer during the recent edition of Eurovision in Concert 2019. 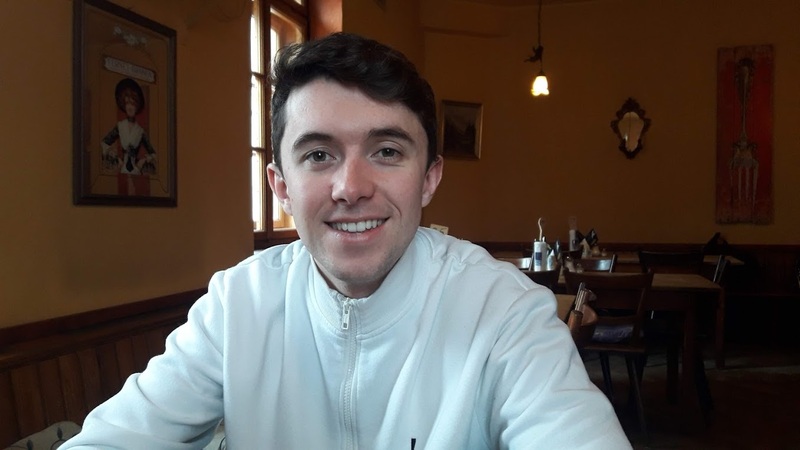 Interview with Ryan O'Shaugnessy (Ireland 2018): At the 2019 edition of the OGAE Germany Convention Ryan was one of the star guests invited to perform a little concert to the many fans that had arrived from various countries to Munich last January. Ryan represented Ireland at the Eurovision Song Contest 2018 in Lisbon with the song "Together" reaching Number 16 in the Grand Final. JP of Radio International chatted with the singer after his sound check about his career and the Eurovision Song Contest. Ryan was also part of Amsterdam Calling 2019 - the Pre-Party to Eurovision Concert 2019 in Amsterdam, The Netherlands.